1021 Riverhaven Pl #1021, Hoover, AL.| MLS# 833433 | Richard Jacks UABLIVING.com 205-910-2297 | Birmingham AL Real Estate | Contact us to request more information about our Homes for Sale in the Birmingham AL area. 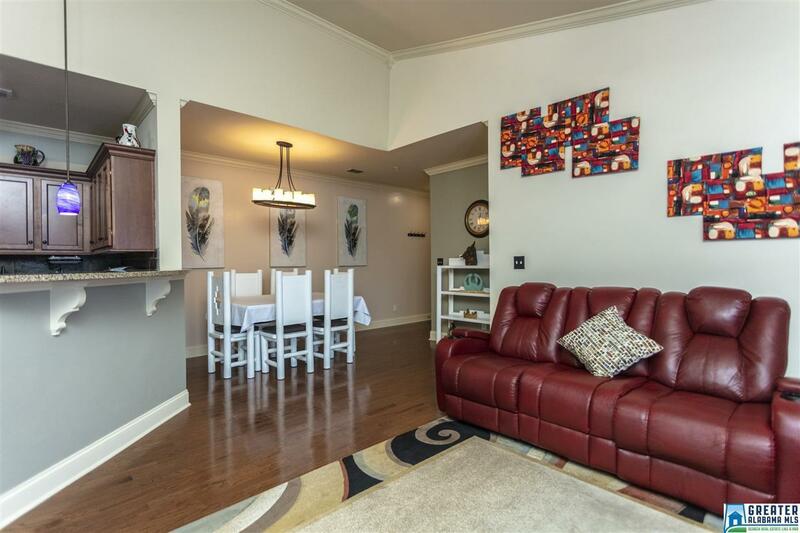 Whether you are downsizing, just starting out, or just looking for the perfect place to call home, you must come to discover this condo in Hoover! Love high ceilings? The living room has vaulted ceilings, sparkling kitchen, and a spacious laundry room. The floor plan is an open/split plan, including 3-bedrooms, and 2-baths. Home features a covered patio with an adjacent storage room. The Overlook on Riverhaven is gated, offers a clubhouse, swimming pool, and a fitness center. Convenient Hoover location. Hurry, come tour today! Driving Directions: Hwy 31 South To Loma Rd, Turn Left. Travel Data Dr, Turn Right. Follow To Riverhaven And Turn Left. The Overlook On Riverhaven Will Be On Your Left.